Now that's one photograph I would like to see replicated over and over again. In countries all over the world on OP's, in the UK on exercise, in Ireland on exercise, get the hell out of the EU BG which is a total waste of time, effort and resources and lets start working with our nearest and dearest. What I wouldn't give to see the ARW drink the Sgt's mess dry in Credenhill post joint exercise. Great stuff and well done to all involved, long mat it last and form the basis for a more productive relationship. And once I was there for the fact the government didn't want anyone to know. Good to hear it, shame about our political masters but the more it happens the harder it is to deny, especially with aunty broadcasting the way she does. But at least its happening and any contact (excuse the expression) is good. Pint in the Barrels anyone? Big emphasis on ear protection quite obvious! 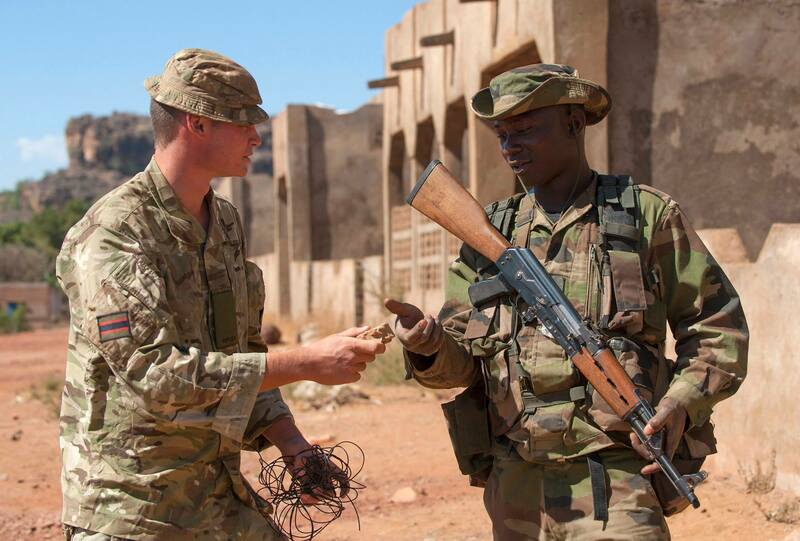 PARIS, Oct 29 (Reuters) - A French soldier was killed in northern Mali on Wednesday morning during an operation against a terrorist group, the French president's office said. The death brings to 10 the number of French soldiers killed in Mali since France launched its military operation in January 2013 to drive out Islamist militants who had seized control of the country's north. The sergeant was in a commando parachutist unit conducting an operation in the mountainous Adrar des Ifoghas region, the statement from the president's office said. Good article, apart from the "Lt Cl" abbreviation. I see plenty of baseball caps in evidence on the DF personnel. Any reason why they can't be in issued DPM? Maybe there not issued , but privately purchased for the mission. 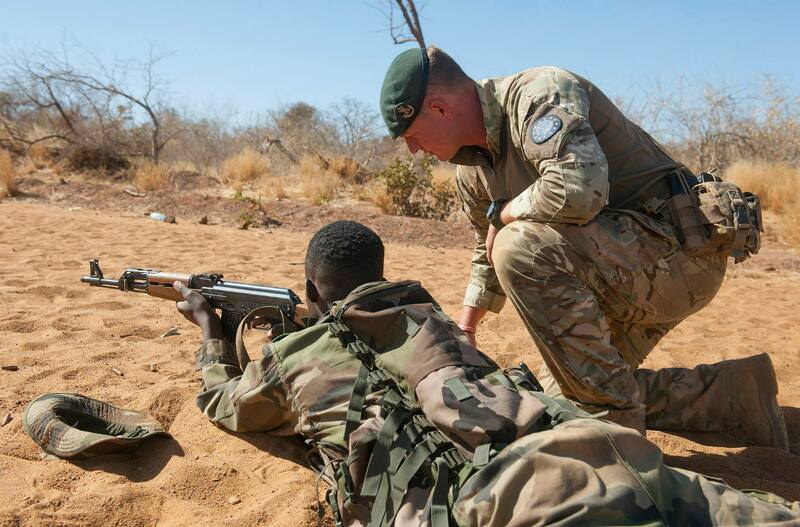 from a British point of view - this mission in Mali is now open to British Army Reservists. my unit have been requested to provide. Last edited by RoyalGreenJacket; 14th February 2015 at 23:29. All Irish military personnel in Bamako are safe and accounted for following an attack on a restaurant in the capital - Defence Forces. i always thought Ireland would have been higher up the list, and didn't realise British Forces had lost more men. 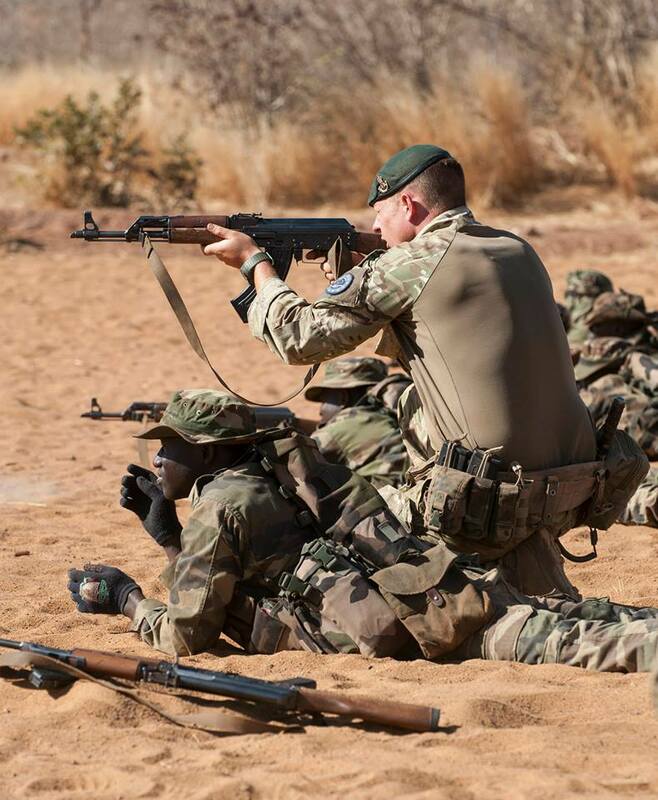 Mali is certainly heating up. We didn't go to Korea. That was a UN mission. British numbers do NOT include those killed in Korea. The list refers to peacekeeping missions, Korea was after all a war. The UN also recorded the deaths of 686 British troops with a further 1,102 missing in action or prisoners-of-war (The War in Korea). i didn't realise, thank you for clarifying that FMP. 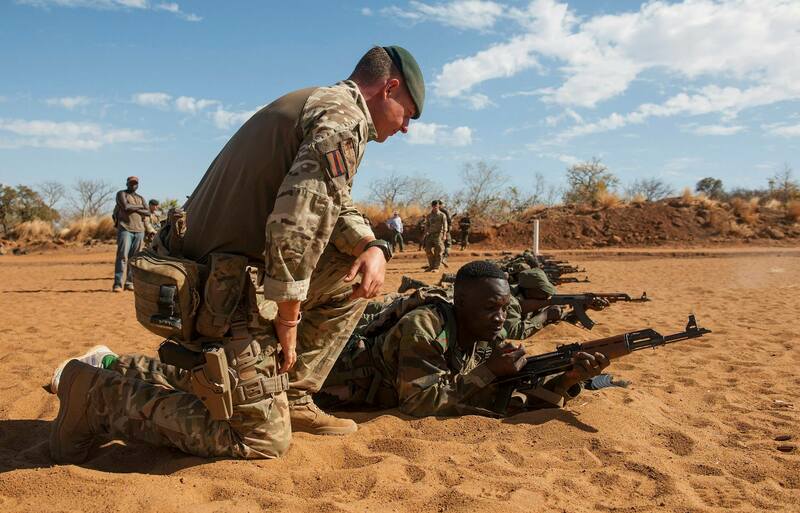 let's hope we can keep the slate clean for British and Irish troops in Mali, although i fear the chances of that are dwindling. 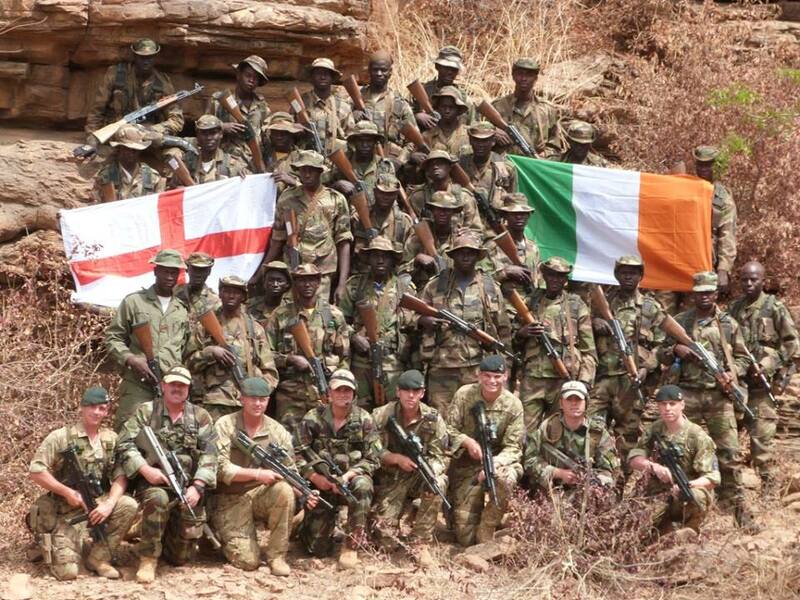 let's hope we can keep the slate clean for British and Irish troops in Mali. Members of the Defence Forces Training Team have the tricolour illuminated green at dawn in Koulikoro Training Camp, Mali. Last edited by Turkey; 20th March 2015 at 11:08. Minister for Defence on a visit to Mali yesterday. Out of curiosity, why is the shamrock behind the rank sliders, and not behind the cap badge as is traditional?